Alumuna Real Estate provides clients with a premium quality real estate service, while keeping the associated costs to a minimum. Our team of two licensed real estate agents are focused solely on real estate sales, aiming to achieve the greatest possible price in the shortest time frame. We believe that communication and honesty are key to a successful sale campaign, keeping our clients engaged and up to date at every stage during the sale process. Alumuna Real Estate offers highly effective, tailored marketing packages to our clients. We ensure that your marketing funds are invested in methods that attract quality buyers, while eliminating unnecessary marketing costs. Premium photo signage and brochures. High quality direct marketing materials. Inspections to showcase your property. Two licensed real estate agents dedicated to the sale of your property. 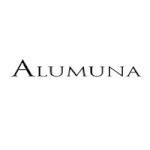 Alumuna Real Estate provides both private treaty and auction sales services. We recommend meeting with us to discuss which option is best suited for your property. Please contact us if you wish to receive further information on the services we offer or have any questions regarding the sale of your property. Thank you for your consideration, we hope to hear from you soon!